Trust Your Dreams to Us! Our dedicated Southern Travel experts will work with you to build a customized travel itinerary tailored just for you, using our network of worldwide travel contacts to book you the best tours, transfers, accommodations, and more. Click on the button below and start building the luxury destination wedding of your dreams! There’s just nothing like the bright turquoise waters of the Bahamas. Journey to the remote Exumas islands for a chance to host your wedding in utter luxury, at Sandals Emerald Bay. 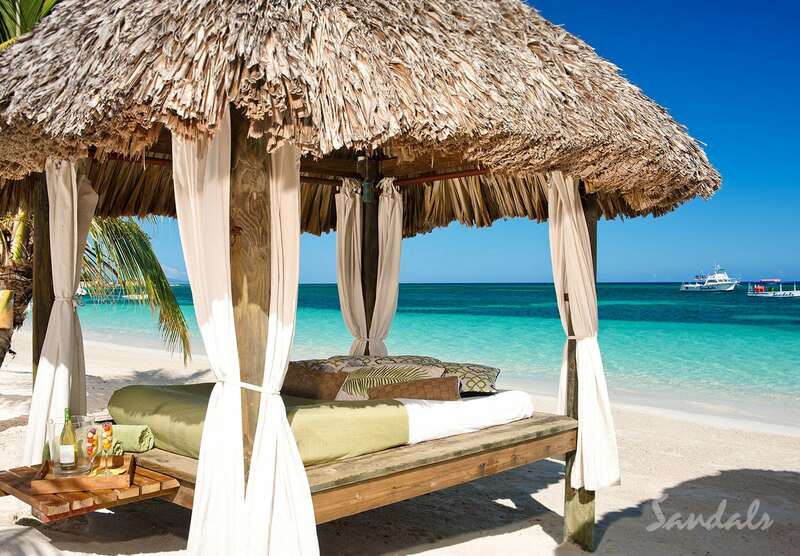 A jewel of a resort, Sandals Emerald Bay offers an intimate atmosphere in pure paradise. You may even feel like you and your guests are the only ones at the resort. What’s more romantic than that? Add a little spice to your all inclusive destination wedding with an escape to Barbados. At Sandals Barbados, you can say “I Do” beneath swaying palm trees, with the sound of calypso music in the air. Located in the St. Lawrence Gap area, this 5-star resort will whisk all your worries away on your big day. Splurge for the honeymoon suite for on-call butler service during your stay! Punta Cana is calling your name! We love to send couples to tie the knot at Excellence Punta Cana, one of the most luxurious resorts in the Dominican Republic. You’ll feel as if you’ve stepped back in time as you trade vows beneath the grand colonial-style architecture of this beautiful resort. Plus, you have 30 miles of pure white sand beach to enjoy after the ceremony! Celebrate your sweet love on Grenada’s famous Pink Gin Beach, at Sandals La Source Grenada. This all inclusive resort feels like a tropical fairytale come to life. Picture cascading waterfalls, glittering infinity pools, and the clear blue Caribbean beyond. This stunning Sandals resort is perfect for all inclusive destination weddings with a modern, sophisticated feel. Mexico provides such a picture-perfect backdrop for all inclusive destination weddings. If you’re wondering which resort to choose, look no further that Palace Resorts. A pioneer of the all inclusive concept, Palace Resorts in Mexico attend to every single one of your vacationing needs. With fine dining, top shelf drinks, and stunning locations in the most popular parts of Mexico, Palace Resorts are worth a look for your destination wedding. Journey to a Jamaican destination beyond your wildest dreams. All inclusive destination weddings hosted at Sandals South Coast (formerly Sandals Whitehouse) benefit from some of the most pristine coastline on the entire island. Also, your guests will love that every room at this resort faces the brilliant white sand beach. The smell of jerk chicken and the sound of reggae drums wafts through the air at this fun-loving resort. The original Sandals resort, Sandals Montego Bay will keep your guests rockin’ all night long with plenty of entertainment and dining options. Don’t miss the refreshing swim-up bar! This just might be the most stylish stay in all of Jamaica. For couples who yearn for a glamorous destination wedding, Couples Negril more than fits the bill. Sumptuous rooms, elegant architecture, and lush gardens make this resort so much fun to explore. Amp up the glam on your wedding day at this beautiful beachfront resort in one of Jamaica’s hottest regions. Think beyond the beach for your destination wedding. Fairmont Hotels and Resorts are located in some of the most dynamic locations in the world. From snowy ski capitals to the Big Apple itself, Fairmont’s locations give you so much choice when deciding where to host your nuptials. Plus, you’ll often find Fairmont hotels in elegant, old historic buildings, lending your wedding a stylish touch. From the Mediterranean to the Caribbean, you’ll find Iberostar Resorts in some of the most breathtaking locations on earth. This Spanish chain brings a luxurious touch to the all inclusive concept, with properties that blend in beautifully with their natural surroundings. For an elegant, upscale all inclusive destination wedding experience, you can’t beat Iberostar. St. Lucia stands out even amongst the stunning islands of the Caribbean. What’s the finest resort on this Caribbean gem? 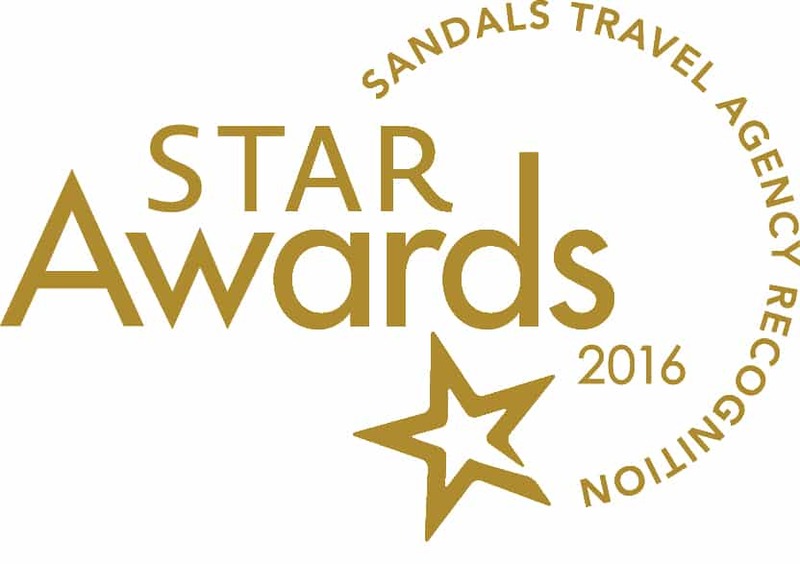 It just might be the Sandals Grande St. Lucian, located on its own peninsula. You’ll feel like you’ve been whisked away to your very own tropical wonderland when you tie the know at this intimate luxury resort. When you work with Southern Travel Agency to plan your all inclusive destination wedding, your needs always come first. Our dedicated travel advisors truly listen to your feedback and happily answer all of your questions. The result? A destination wedding escape tailored just to you! For a truly exceptional vacation experience, our luxury travel packages created specifically for you will transport you to a world of utter indulgence. Imagine a getaway where every one of your cares is catered to … think sumptuous spas, five-star dining, and private tours and excursions. If you’re celebrating a special milestone, or you’re just in need of some serious rejuvenation, our luxury travel packages deliver a once-in-a-lifetime experience.